Easy and quick, this homemade tomato sauce cooks in the amount of time it takes to make pasta. 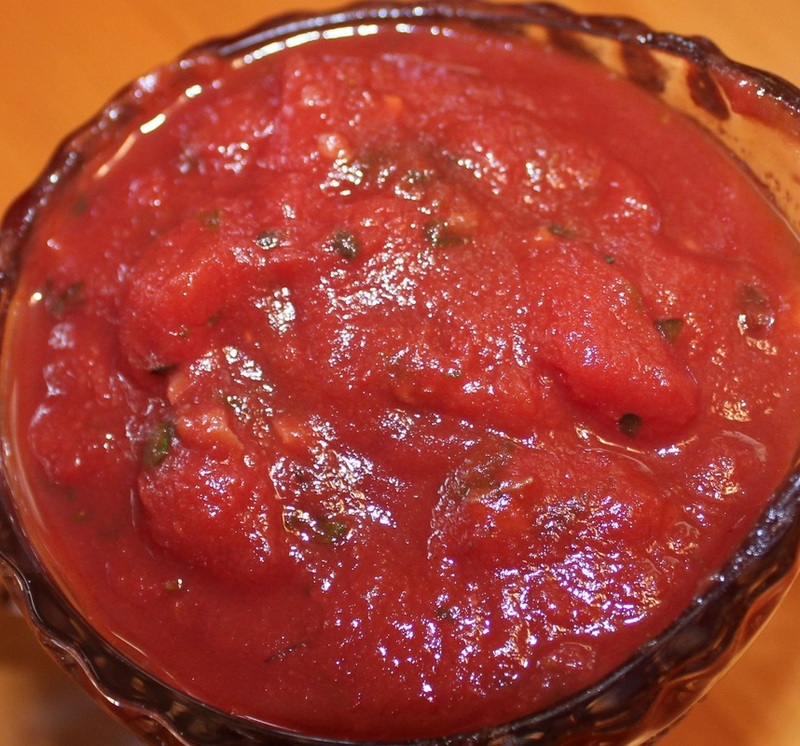 If you prefer a smooth sauce, just blend the sauce for half a minute in a blender. Heat a medium saucepan over medium-high heat. Add oil, saute onions and garlic until golden brown. Add tomato paste. Stir 2-3 min. Add water, wine, crushed tomatoes, and basil leaves. Bring the sauce to a boil. Lower heat to low and simmer stirring occasionally for at least 20 min.